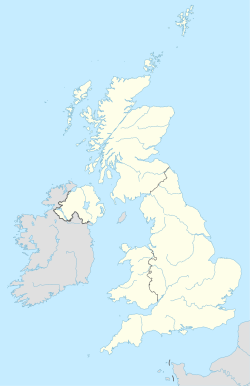 The LU postcode area, also known as the Luton postcode area, is a group of seven postcode districts in England, which are subdivisions of three post towns. These postcode districts cover south Bedfordshire, as well as small parts of Hertfordshire and Buckinghamshire. The Luton post town forms a group of four postcode districts in the east, occupying approximately a third of the total area. The Dunstable post town forms a central strip of two postcode districts, extending from north to south. Leighton Buzzard forms the largest post town in the west, corresponding to a single postcode district. Previously, Perry Green was used as the locality in the LU2 postal addresses of some properties in Peters Green. Old Linslade was used in the LU7 addresses of Old Linslade, but these now include the words Heath and Reach. LU postcode area map, showing postcode districts in red and post towns in grey text, with links to nearby AL, HP, MK and SG postcode areas. ^ Placenames as listed in Royal Mail, Postal Address Book: Anglia 2, Edition H, 2003. ^ Royal Mail, 'Postcodes', The Thomson Directory: Luton, Dunstable, Leighton Buzzard Area, 1992.